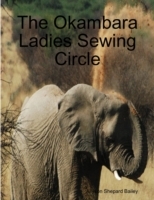 This book lets us join the journey of five oddly assorted middle aged women as they prepare for and experience a wonderful adventure on a conservation project in Namibia. Learn more about the struggles of preparing to travel to Africa, coming to terms with driving Land Rovers, handling laser range finders and locating elephants, and all the excitement, learning and fun of joining a scientific expedition. If you're thinking of setting off on an adventure, this book should be both a guide and an encouragement.